My kids love spiders and spider webs! We spend a lot of time by the web covered bushes nearby our house. Yesterday we had fun playing with a spider sticky wall. Today we are excited to share how we painted salt to create a beautiful spider web and enjoy a cool salt reaction! Creating with salt is a lot of fun! To get started draw a spider web with glue on a piece of black paper. 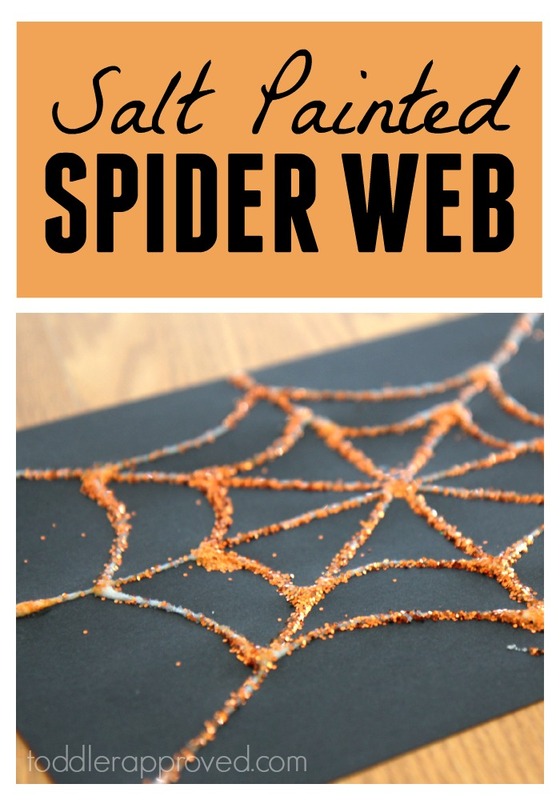 You can draw it for your child or you can have your child draw their own spider web, depending on their abilities to squeeze a glue bottle. Next, have your child sprinkle salt all over the glue to cover the glue lines. Once the salt covers the glue, shake off any excess. I love to do this activity in a large flat cardboard box so that excess salt falls into the box instead of on the table. 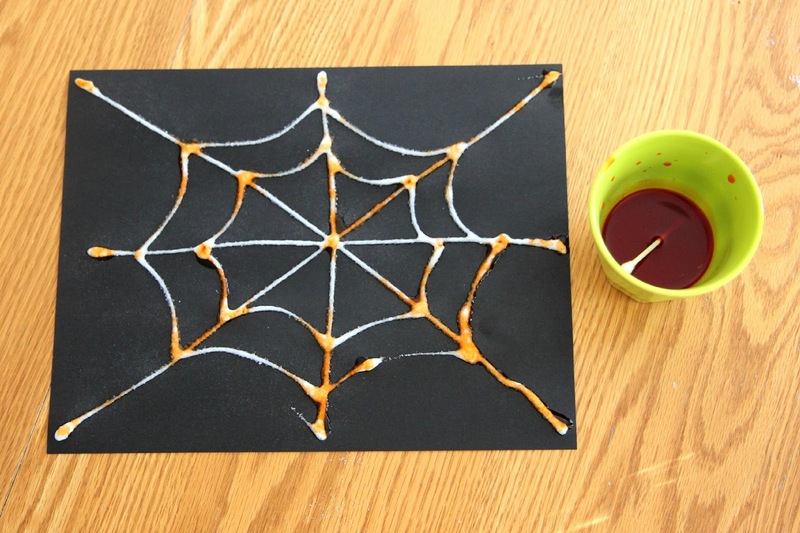 Next, grab a paintbrush or Q-tip and dip it in orange liquid watercolors and then touch the glue/salt lines. Watch as the orange paint travels along the salt/glue lines. Once all of the orange paint has traveled across the web lines, drop some sparkly glitter on the glue lines to add some extra colors. Then let the web dry and then shake off any excess glitter. Now your web is ready to display!! Be warned that salt will definitely fall off the web, so try and keep your spider web displayed somewhere where it won't be touched. If it falls off too much, just remember that the main purpose of this activity is to explore the salt reaction... not the finished product! 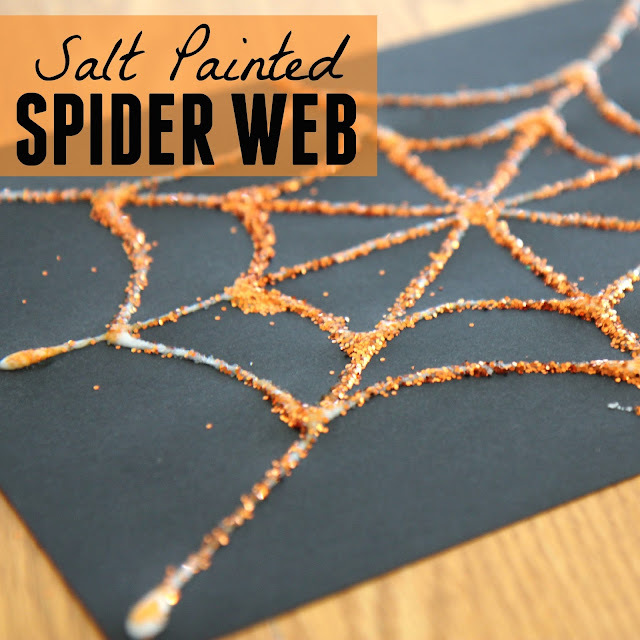 Skip using the salt and just use glitter if you just want a spider web to display. 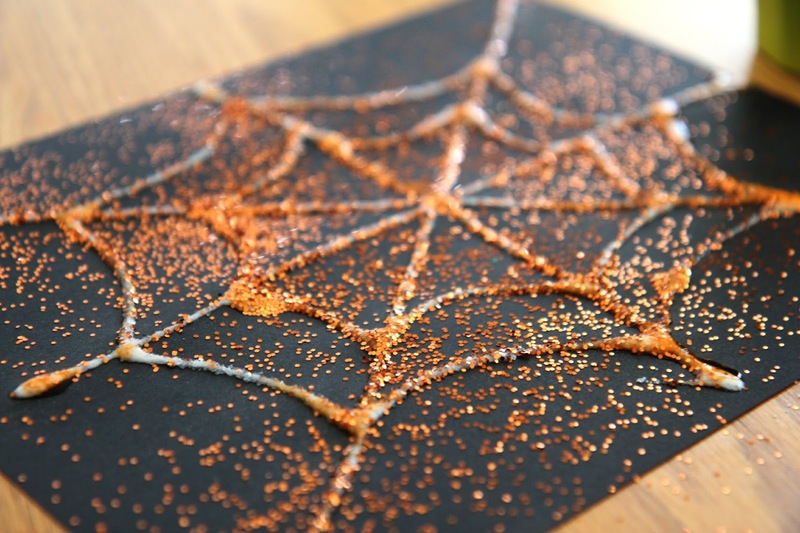 We have more Spider & Witches activities to share this week so make sure to stop by tomorrow!